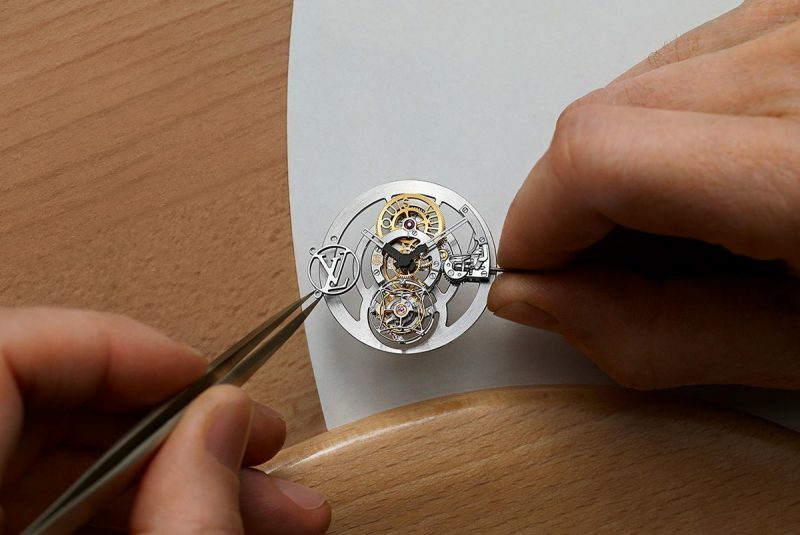 IN 2002, Louis Vuitton decided to branch out to watchmaking. It was a daring move, and one that some observers half-expected to result in otherwise unremarkable “monogram” watches. But the LV timepieces instantly earned respect as exemplars of authentic Swiss know-how. This new chapter in the house’s history began with an elegant, eye-catching model: the Tambour. Today, 15 years later, this emblematic watch has grown into a full-fledged collection with an array of variations for women and men. For 2017, the Tambour line has been enriched with a triptych of innova- tions. First is the Tambour Moon, an updated version with a concave dial.A special travel model, in keeping with the label’s roots, integrates a “GMT” function with a fourth hand to show the time in a different time zone. 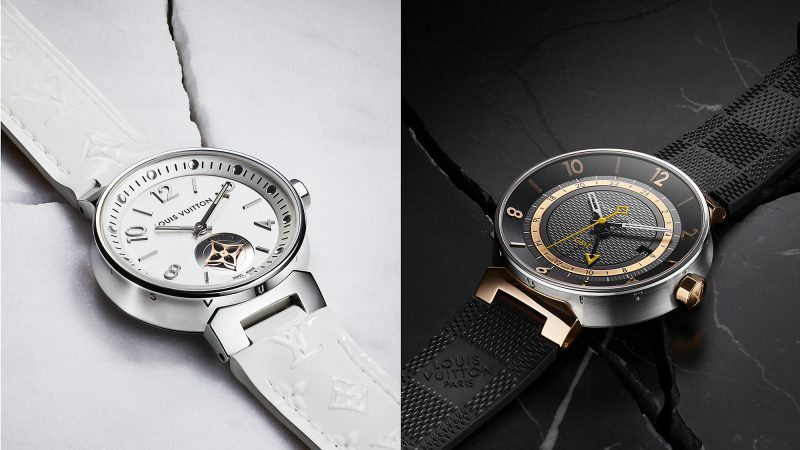 Secondly, the Tambour Horizon is Louis Vuitton’s first smart watch, replete with apps conceived for the modern-day globetrotter—like “My Flight,” which keeps departing passengers informed with reminders of their flight time, terminal and gate number, any delays, etc. Lastly, since all good stories should never come to an end, the Tambour saga continues with an origi- nal concept for all versions all the way back to 2002: a simple, reliable system for changing bands. Now you can transform the look of your Tambour according to your mood, with no need for special tools, choosing from a collection that includes bands in the house’s signature leathers and canvas designs, plus latex.